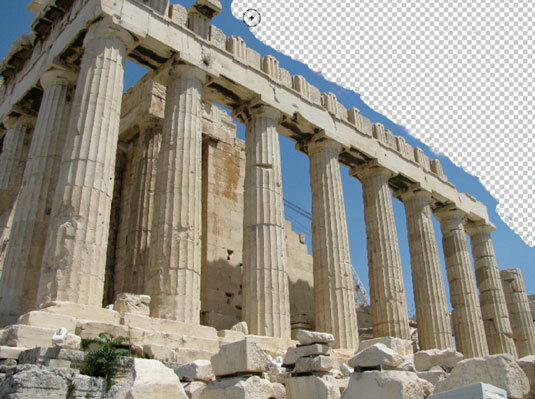 The Background Eraser tool in Photoshop Elements 11 is probably the most sophisticated of the Eraser-tool lot. It erases the background from an image and should leave the foreground untouched. But if you’re not careful in using the Background Eraser tool, it can erase the foreground and anything else in its path. Like the Magic Eraser tool, the Background Eraser tool erases to transparency on a layer. If you drag on the background, Elements converts the background into a layer. To use the Background Eraser tool successfully, carefully keep the crosshair, or hot spot, which appears in the center of the cursor, on the background pixels while you drag. The hot spot samples the color of the pixels and deletes pixels of that color wherever they fall under the brush circumference. But, if you get close to a foreground pixel with the hot spot, that pixel is gobbled up as well. This tool works better with images that have good contrast in color between the background and foreground objects. Also, if your image has very detailed or wispy edges (such as hair or fur), you’re better off using the Magic Extractor command. Brush Settings: Click the Brush Settings button to bring up the settings to customize the size, hardness, spacing, roundness, and angle of your brush tip. The Size and Tolerance settings at the bottom are for pressure-sensitive drawing tablets. You can base the size and tolerance on the pen pressure or position of the thumbwheel. Limits: The Contiguous setting erases similar colors that are adjacent to one another under the brush circumference. The Discontiguous setting erases similar colors whenever they’re under the brush circumference, regardless of whether they’re adjacent. Tolerance: Works just like the Magic Eraser Tolerance setting.